Whether you own a fine dining restaurant, sidewalk café, licensed pub, or are a food retailer, you have spent a lot of time and energy to build your restaurant from the ground up to what it is today. 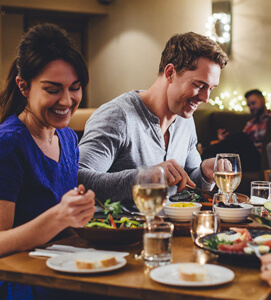 With changes to the landscape of the restaurant industry, it is essential to work towards maximizing your insurance coverage and minimizing your risk exposures upfront, in order to increase your bottom line. With our SIA Property & Casualty Insurance System, we take a proactive approach to insurance. It starts with a complete risk management analysis to fully identify the risks facing your restaurant. Our restaurant risk management team has experienced professionals who are well-versed in the safety regulations of the restaurant industry. Your risks could be unsafe workplace conditions, low employment standards, and others, that can increase the possibility of incurring liability. Once we recognize these exposures, we provide you with recommendations for a cost-effective insurance program to control or mitigate your risks. If you are seeking a proactive approach to insurance that is cost-effective for your restaurant or food retail business, please call us today at (630) 325-4000 to schedule a time to complete your risk management analysis. Become a leading distributor of fully integrated Risk Management services to the small and middle market. At SIA Insurance Group, risk management and insurance solutions are more than just simply offering an insurance plan. We strive to take into account your goals to help grow your business. Copyright © 2019 SIA Insurance Group All Rights Reserved.